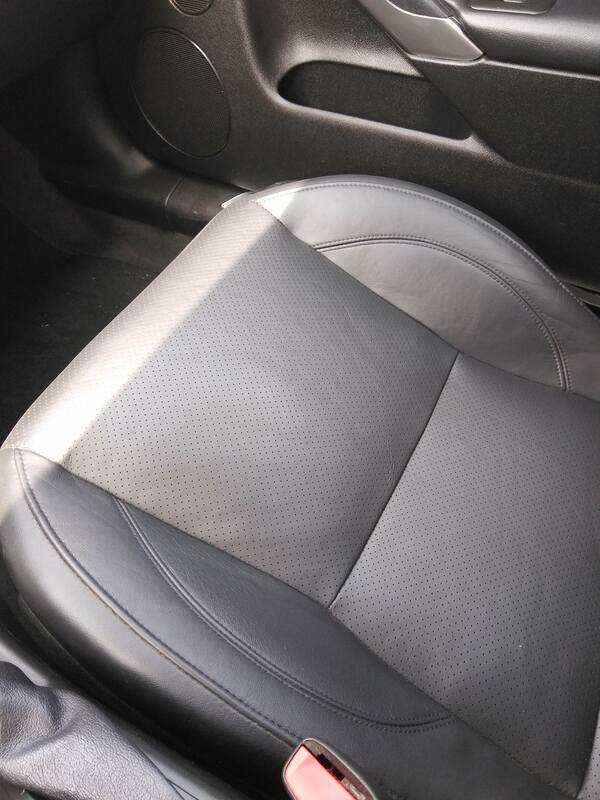 Pontiac G6 Forum > General Discussion > Automotive Cleaning and Detailing > Leather Seats Peeling!?!?! Ok so I have a '07 G6 GT with leather interior. 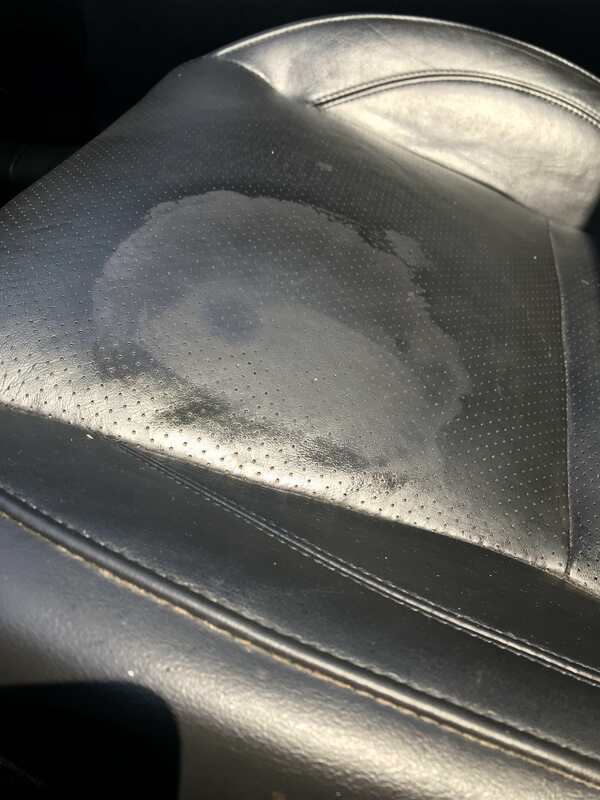 I bought it used and my passenger seat appears to be peeling. I don't know if the previous owner tried to cover up a spot with some kind of paint or what the deal is, but the spot is faded looking with peeling around the edges. Is there any way to correct this or fix it? This is the only flaw with the interior and it is driving me insane! Any advice would be appreciated, thanks. A good pic speaks a thousand words. Please post a good quality pic. I will try and post a pic of it next time i am out at the car. I did attempt to lightly sand the peeling away with a super super fine grit... got 99% of the peeling away, now I just need to find some leather dye or a good leather conditioner to restore the color. Other than the peeling there is no damage to the leather, so im a little confused what the deal was with the peeling or why previous owner might have sprayed a paint of some kind on it. Paint would be weird, even though yes, there is such a thing as leather dye. Are both seats equally worn? Does the car have high wear? Are the seat ribs (the beading) round or squared off? If squared, but perfectly colored, that's a redye. Let us know. The driver seat had a little wear on the edge closest to the door from sliding in and out, but it was literally just on the seam. The back seats are perfect. The car in general just hit 102,000 miles, the inside is immaculate minus the spot on the passenger seat and two rubbing spots on the radio's number 1 and 2 preset buttons. The bead is rounded, minus the spot i had to touch up on the driver seat from sliding in and out of the car, its kinda squared off a little from sanding it. So i stumbled upon a article talking about repairing discolored leather and they mentioned a product called SEM Classic Coat Flexible Coating. I figured why not, so I ordered some from amazon. Today I went out and cleaned the leather, prepped it, then sprayed a few light layers... and holy crap the leather looks new again! I will post a pic or two once it has fully dried and I put some conditioner on it again. something on or treat the seats with something else before putting this dye on?